It's as easy as 1-2-3 with our Ready-Set-Go Procedure. 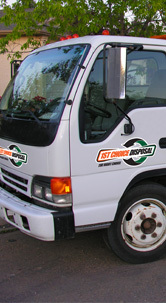 When you need them delivered, our bins are always READY. 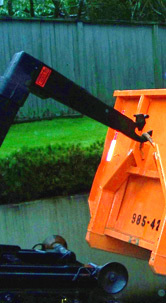 Dump all of your junk inside our bins whenever you’re SET. When you’re done, we’ll pick up our bins and GO. Terms & Conditions for this bin. 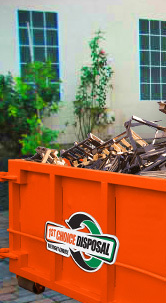 Disclaimer: By renting this bin you agree not to dispose of hazardous and dangerous materials. You will not dispose of paints, and other harmful products. Accept & Use this Bin. Concrete is listed as a heavy material resulting in flat fee pricing Concrete is listed as a heavy material resulting in flat fee pricing Clean Fill is listed as a heavy material resulting in flat fee pricing This includes all non hazardous materials, for safety and regulation reasons this must NOT include tires, batteries or paint based products. -------- Mr. Mrs. Ms. Miss. Dr.